What do Pete Rose, Rob Manfred, Barry Bonds, and Ted Williams have in common? Why, Shoeless Joe Jackson, of course. Major League Baseball has had its share of controversies and scandals, but perhaps none has had a more lasting impact than the Black Sox Scandal of 1919. At the center of that legacy is Shoeless Joe Jackson, the legendary outfielder for the Chicago White Sox. He was arguably the best player in baseball at the time and remains one of the game’s greatest hitters with the records to prove it. He also remains permanently banned from professional baseball and therefore ineligible for the Hall of Fame. The why’s and wherefore’s of his banishment have stirred the passions of countless fans for the last one hundred years. Gambling is at the heart of the Black Sox story. Eight White Sox players conspired with gamblers to throw the World Series, which Cincinnati won in game 8 (the Series was 9 games that year). That is not in doubt. What continues to be questioned is Jackson’s role in the conspiracy. When did he know about it? Was he in on it? What did he do about it? Did he take money for it? Did he field and hit poorly in order to lose or did he play his heart out? The answers to those questions are not the subject of this article. Instead, I investigate why Joe was banned and how his legacy still shapes baseball today. The rules against gambling sprang from the Black Sox Scandal and are clearly posted in every professional clubhouse in the land: “Any player, umpire, or club or league official or employee who shall bet any sum whatsoever upon any baseball game in connection with which the better has a duty to perform, shall be declared permanently ineligible.” Pete Rose, who has the most hits in baseball history, clearly broke that rule and has also been declared ineligible for the Baseball Hall of Fame. Yet many still argue that Rose should be allowed into the Hall of Fame. Many often debate who has a better case for reinstatement, Joe Jackson or Pete Rose? Joe Jackson broke no rule. In fact, it might be argued that gambling was the national pastime in 1919 (It might still be argued that gambling is our national pastime). Gamblers often greased a player’s palm in exchange for inside dope on who was hurt, who was drinking too much, anything that would help solidify the bet. The owners knew it, which is why the White Sox owner, Charles Comiskey, wasn’t that concerned when he heard rumors that the fix was in. After the owners elected Kennesaw Mountain Landis baseball’s first commissioner in 1921, gambling was declared illegal, but that was two years after the 1919 scandal. Shoeless broke no rule. Pete Rose broke the rules, plain and simple. That alone gives Jackson the better case for reinstatement. More importantly, Joe was only alleged to have broken the lawand was never convicted. In the 1920 jury trial, “The Eight” were found not guilty. And when Joe sued Comiskey for back pay, a 1924 jury awarded it to him, finding him not guilty of the gambling conspiracy. How, then, did he come to be banned from baseball? “Cheating” has become a modern-day equivalent of “gambling.” And the question of Jackson’s banishment has also impacted the conversation about whether Barry Bonds, Roger Clemens, Mark McGuire, or others who used steroids should be voted into the Hall of Fame. Unlike Shoeless, they are not banned from baseball; the sports writers could vote them into the Hall. It has become a question of character. Should the writers—and by extension, the fans—consider only the baseball statistics, or should the morality of what the players did be considered? Bonds, to take one example, had his obstruction of justice conviction overturned. Like Shoeless, he has never been convicted of anything. Nevertheless, the writers have refused to vote him in, the highest percentage of votes for admitting him, 56%, falling well short of the necessary 75%. Judge Landis certainly considered the morality of Joe Jackson when he banned him from professional baseball. Is the shadow of Joe’s banishment lingering in the minds of today’s sports writers when they refuse to vote into the Hall any otherwise eligible player credibly accused of using steroids to enhance his performance on the field? Among die hard baseball fans, no one question elicits more “discussion”—i.e. argument—than that of “Who was the greatest hitter of all time?” Was Teddy Ballgame better than the Babe? How about Ty Cobb vs. Tony Gwynn? Aaron Rodriguezor Bonds or Joltin’ Joe DiMaggio or Stan Musial? Or perhaps some “ancients” like Ed Delahanty, Dan Brouthers, Cap Anson? Joe Jackson could outhit them all, some say. 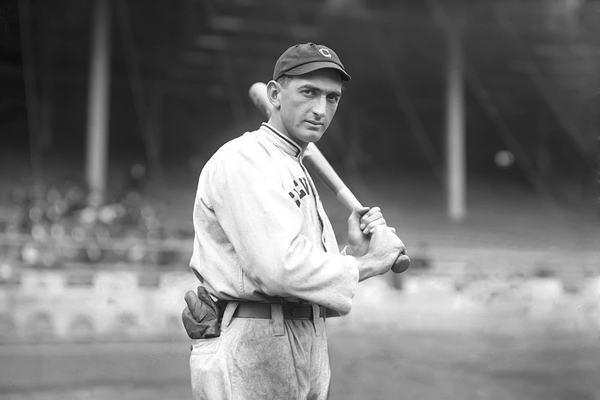 In almost any discussion of hitting, in fact, the name Shoeless Joe Jackson usually arises. Many consider him to be the best “natural” hitter of all time, with a swing so perfect that no one could match it. Both Babe Ruth, who patterned his swing after Jackson’s, and Ty Cobb expressly said just that. But perhaps the greatest legacy of Shoeless Joe and the Black Sox Scandal of 1919 is simply this: we’ll never know exactly what happened one hundred years ago and that gives baseball lovers the chance to do what they love best: argue. Shoeless hit .375 in the series, had 12 base hits, a record not broken until 1964, committed no errors, threw out a runner at the plate. Oh yeah? His average in the games they lost was only .286. And what about the $5,000? Joe said he tried to give it back to Comiskey. Oh yeah? How come he made no mention of that in his grand jury testimony? He knew about the fix, he should have done more to stop it. He tried to, he asked his manager to bench him. My novel takes place in 1951 and uses flashbacks to describe the Scandal. Ultimately, I had to decide for myself whether Joe was innocent or not. My answer turns on the question of character. Do I believe Jackson deserves to be reinstated and then voted into the Hall of Fame? You’ll have to read the novel. Although he probably wouldn’t have wanted it this way, the wonderful legacy of Shoeless Joe is that he’ll never have a last at-bat. 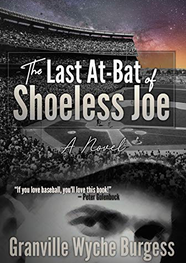 To read the author's latest book on Shoeless Joe, click below!